This Glass Bowl is a necessary accessory for your bong. It is equipped with a blue handle for easily lifting it up and cleaning it at your convenience. 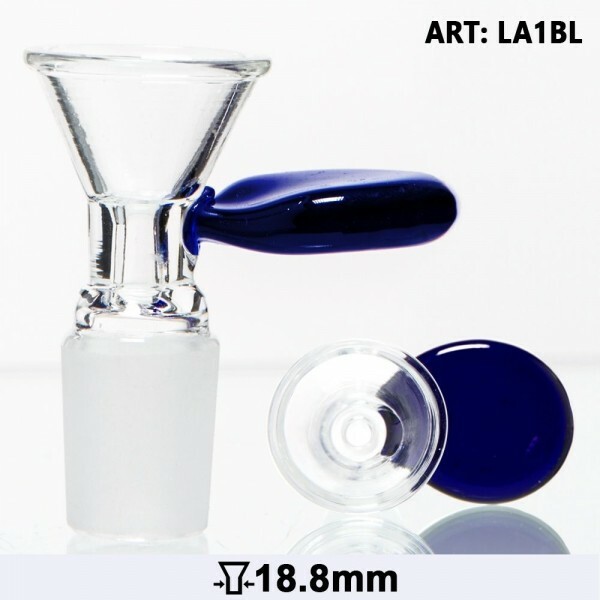 It comes with a sure ground of 18.8mm diameter, fitting any compatible bong or bubbler joint.